Welcome to Alder Family Dental! 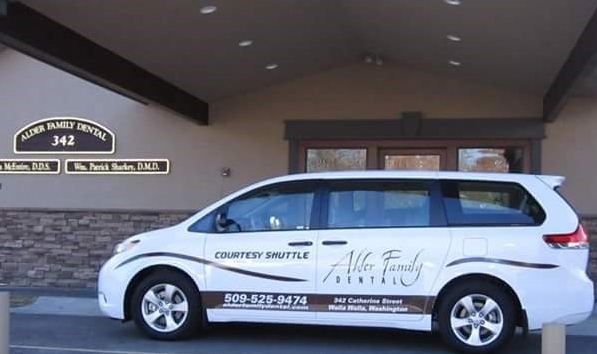 We proudly provide quality dental care to the community of Walla Walla WA. Our featured services are Family Dentistry, Orthodontics, Cosmetic Dentistry, Sedation Dentistry, and much more. Accepting New Patients. Open on Fridays! Our office is conveniently located at 342 Catherine Street and is accessible via all major roads. Our doctors and dental staff take great pride in offering exceptional dentistry service. Our office fully utilizes state-of-the-art equipment. We have a modern sterilization system that surpasses OSHA requirements. The source of water for our dental units is distilled water (bottled water) which removes any chance of contamination from regular tap water like that used in most dental offices. I am a new patient and I just wanted to say thank you for the great service and friendly environment. I’ll definitely recommend your dental practice. Because of alder family dental I’m able to smile again with confidence. Thanks to them my smile is so fresh and so clean! I recommend them highly.